Have you talked to a teacher in North Carolina recently? Or, more importantly, have you really listened to one? If you know or care about any teachers in this state, you most likely have witnessed their struggle to make ends meet under salaries that do not reflect their unremitting workload. 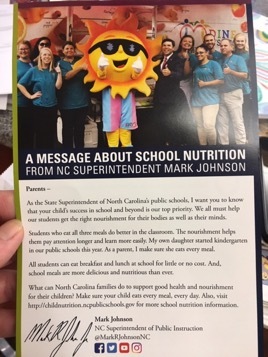 A few days ago, Superintendent of public instruction Mark Johnson sent out the mailer below on school nutrition. School nutrition remains a critical battleground as students and families battle food insecurity amidst stagnating wages and continual budget cuts in North Carolina. Real Facts previously documented how Johnson used the NC public schools email list as his personal blog. Now, it seems that Johnson has moved to glossy mailers as a medium for his vacuous nutrition advice. Below, find an annotated version of Johnson’s note. Rep. Steve Ross (R-Alamance) is running for a fourth term in the North Carolina House of Representatives. In a new ad, Ross claims he’s made several legislative decisions that help Alamance County: boosting teacher pay, safeguarding schools, protecting clean water and cutting income tax for 99 percent of families. His record proves otherwise. One of the largest concerns for current students, prospective students, faculty, and staff in the UNC system is how the state legislature, which controls nearly all of the system’s overall budget, selects and interacts with the System’s leadership. Looking at political contributions made by the Board of Governors, the governing body of the UNC system, and to NC lawmakers who make the appointments brings to light how budgetary and other crucial decisions about the UNC System are made. Sen. Wesley Meredith (R-Cumberland) was the only original NC Promise Plan sponsor to receive contributions from current members of the BOG. 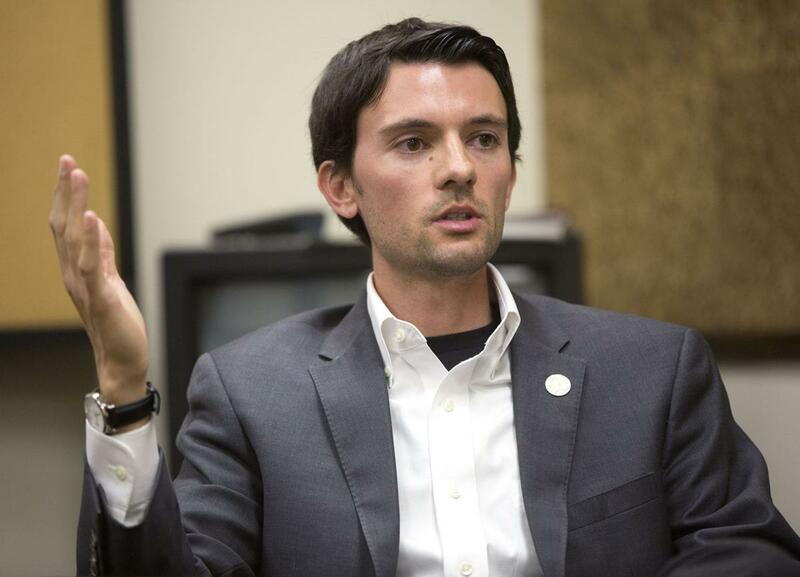 His biggest contributor is Michael Williford, who contributed a total of $24,700 to Meredith between 2012 and 2018. Williford was appointed to the Board in 2015, and received his JD from NCCU, another HBCU within the system that is not slated to be deeply impacted by the Promise Plan, but is currently facing criticism for erasing the culture of the university.